I grew tired of my grumpy sim constantly ice blasting her plumbing fixtures, only to flood the house and upset her partner. Now she won't spend so much time sabotaging her own objects and wasting her hard earned simoleons. 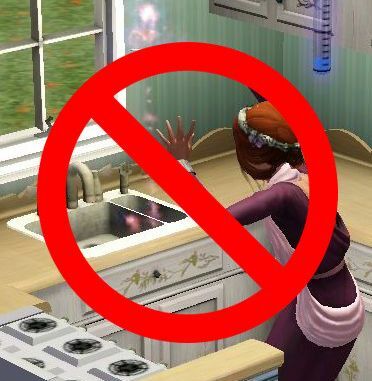 This mod requires the Sims 3 Supernatural Expansion Pack. Using it without SN will not harm your game but it will be a complete waste of space. This mod was built with patch 1.42 but is compatible with patch 1.38. This mod will conflict with any other mod that alters the CastIceBlastPlumbing_GameObject resource in the GameplayData.package. I'm pretty sure there are other mods that alter this resource but I can't find them. That's why I just made my own. Please report any problems that you encounter with this mod. Also, feel free to request another flavor of this mod.